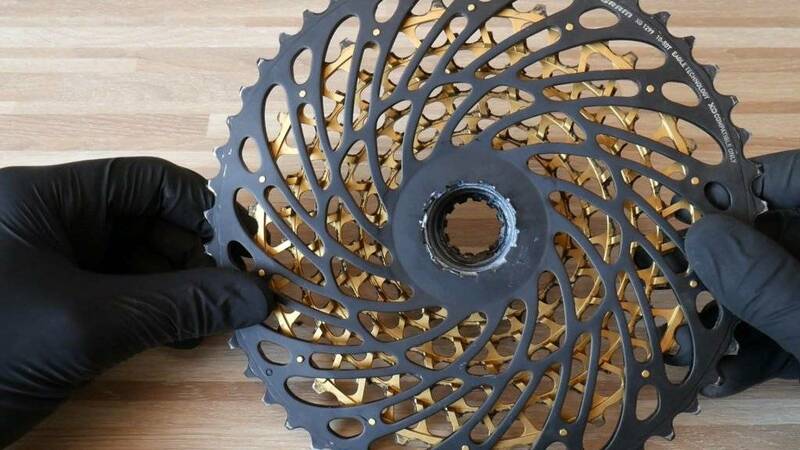 Sram Eagle Technology means having 1x12 drivetrain with quite a gearing ratio, as the smallest sprocket has 10 teeth and the largest has 50 teeth. 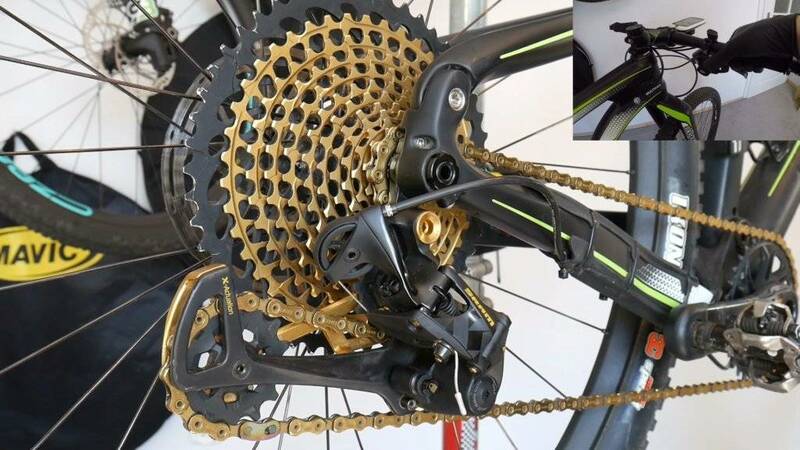 Sram experts tell us on their website, that with this setup 2x drivetrains have died. Well, is it really so? 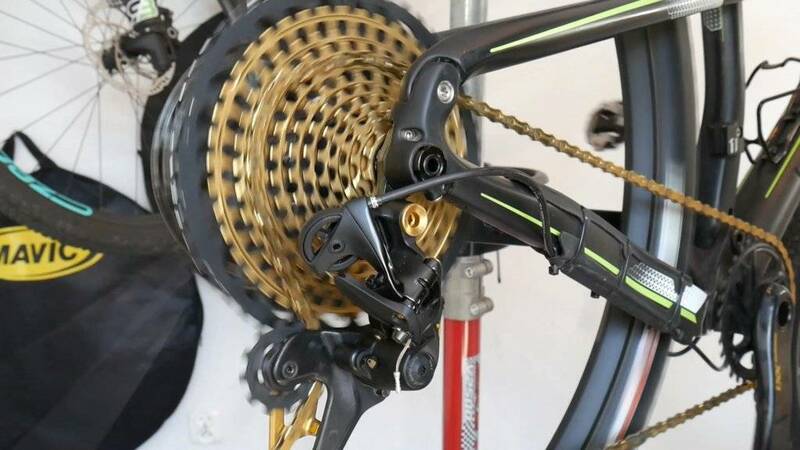 Sram XX1 Eagle groupset in details. There is no simple pattern of the individual teeth shaping. The gear change is extremely smooth. Two pieces - the gold element is closed by the largest, black one. Can you see the narrow-wide pattern on some teeth? The mud is no problem for this stuff! 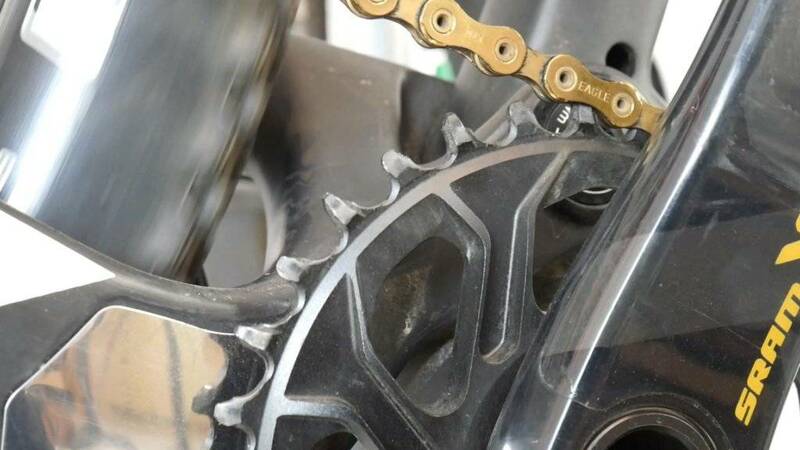 The mud can sometimes push the chain of the crank in narrow-wide system. 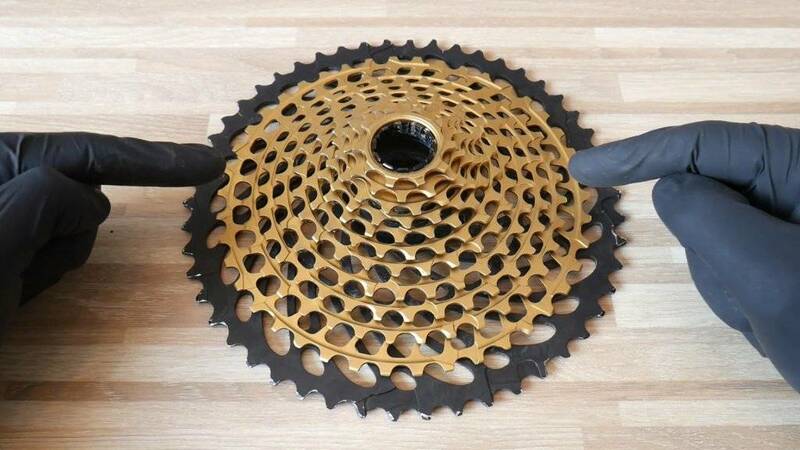 It's less likely to happen on this crankset. 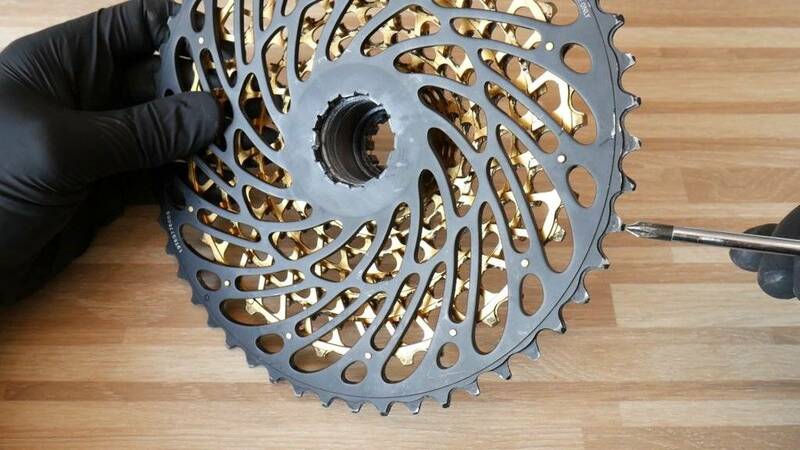 The chain engages beautifully on this chainring. It is quiet too! Each detail counts. 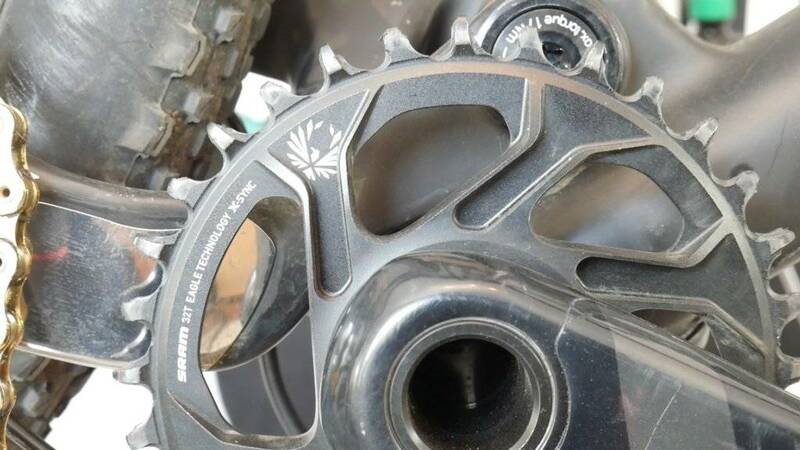 The pulleys have different sizes and teeth shaping. How does it feel ride Eagle 1x12? 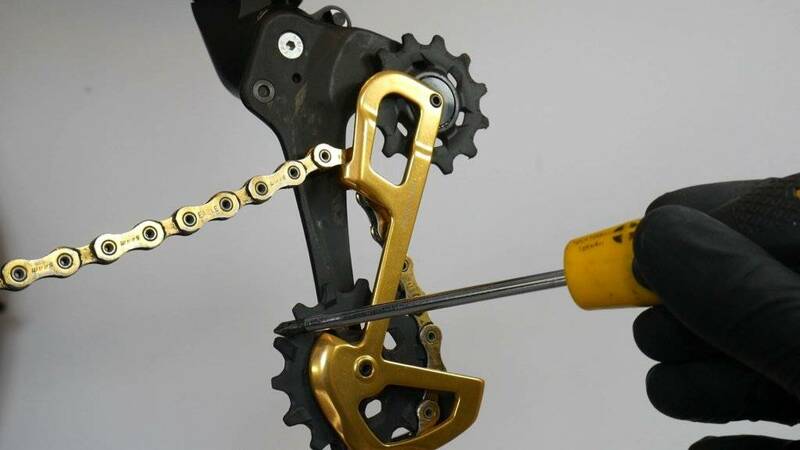 This is definitely one of the best shifting systems on the market, when it comes to the precision and smoothness. 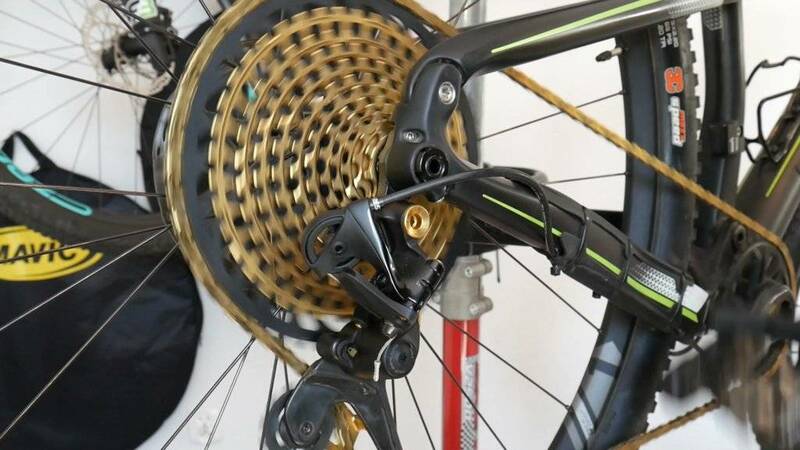 The rear derailleur responds to the smallest movement of your thumb on the shifter. 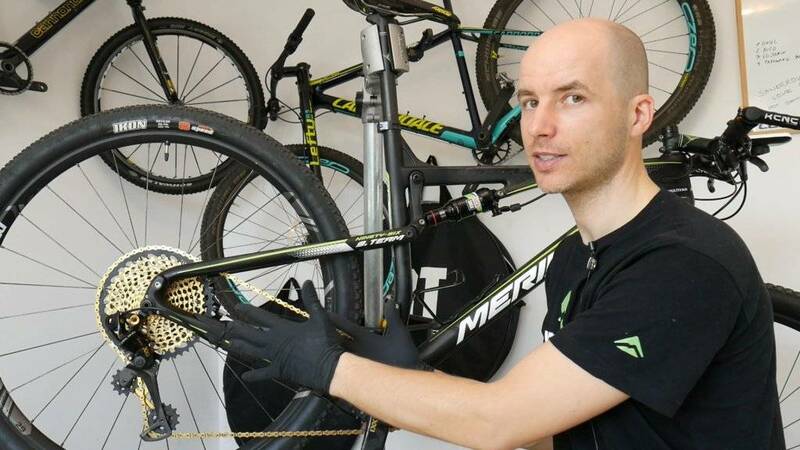 Back pedalling test passed - no chain drop (it depends on the drivetrain and the chain line of the frame, which is great on Merida Ninety-Six woth Boost rear end). I do like shifting the gears with Eagle! 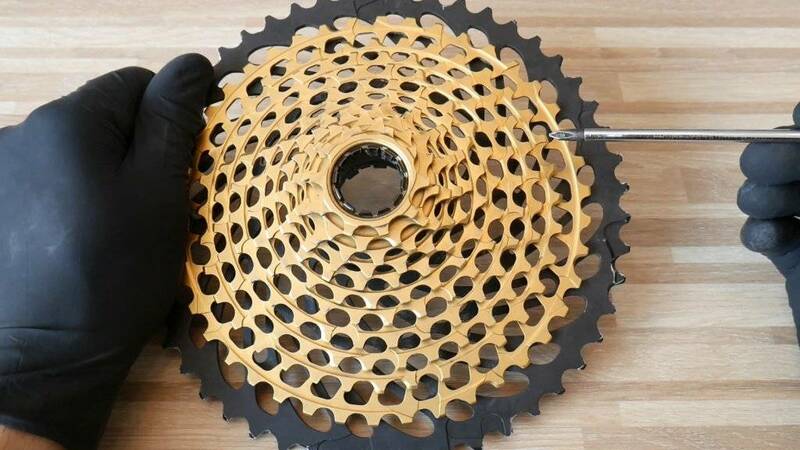 Back pedalling does NOT lead to chain drop. Changing many gears under load during the race feels so easy! Initially I would sometimes overshift, because it feels so easy. 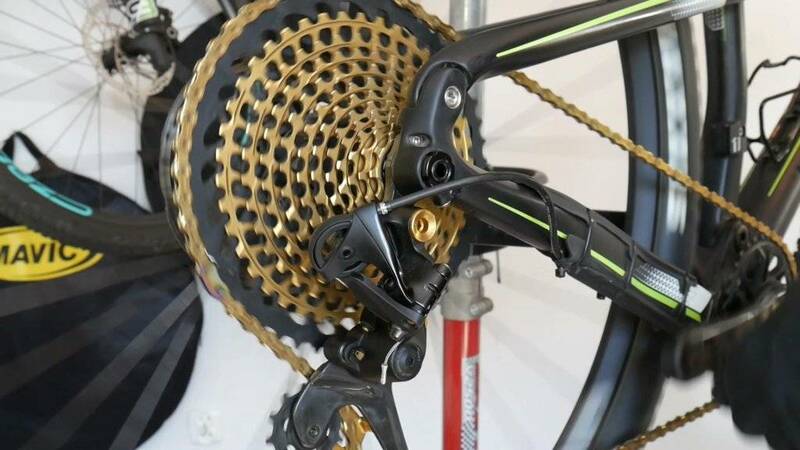 Would I recommend Sram XX1 Eagle groupset? Yes, I would recommend it, especially to those sponsored riders, as the price is very steep. The quality and the technology is highly advanced and it's working. 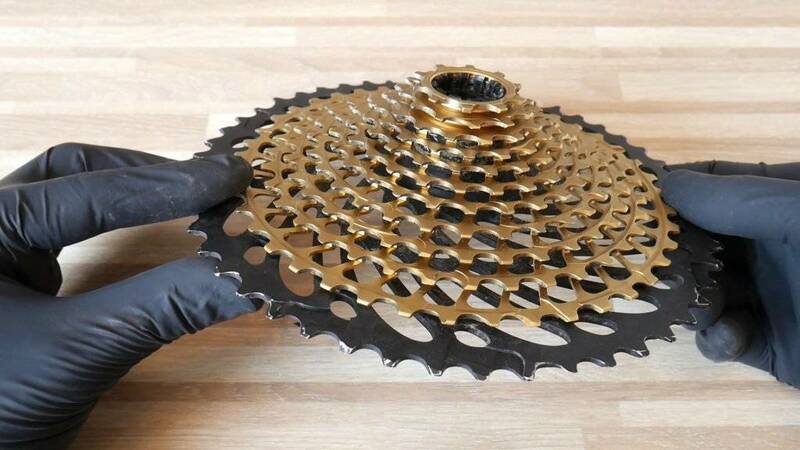 I still prefer double chainsets, but I'm sure many will love the Eagle, also in the lower groupsets, like X01, or GX. You can also watch my Eagle video review here.